Apple has reportedly selected Taiwanese manufacturing company TSMC to remain its exclusive supplier of so-called "A12" processors for a trio of new iPhone models expected to launch in the second half of 2018, according to DigiTimes. 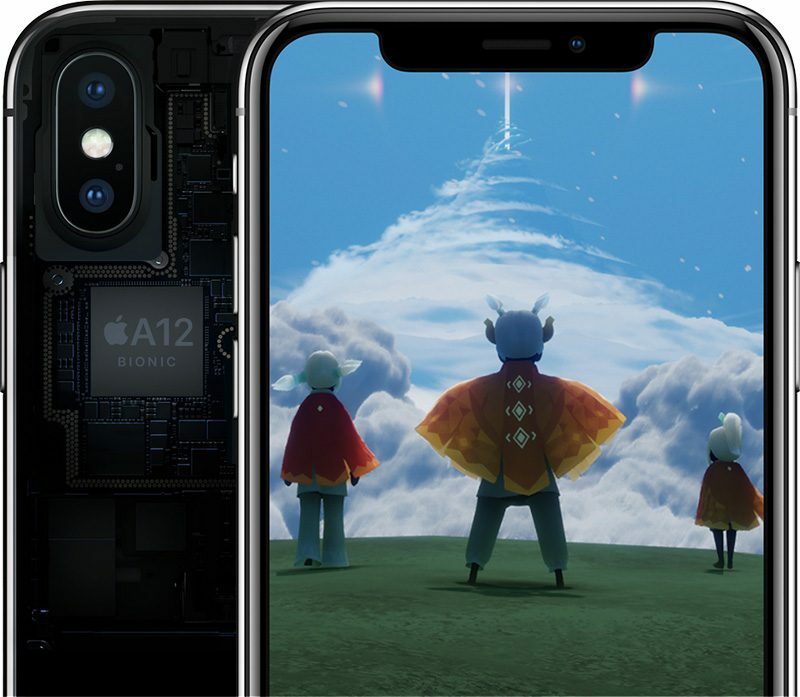 The report, citing unnamed sources within Apple's supply chain, claims the A12 chip will be manufactured based on an improved 7nm process, which should pave the way for the type of performance improvements we see in new iPhones each year. TSMC is already the exclusive supplier of A11 Bionic chips for the iPhone 8, iPhone 8 Plus, and iPhone X, and it was also said to be the sole manufacturer of A10 Fusion chips for the iPhone 7 and iPhone 7 Plus. If the report is accurate, it would be a loss for Samsung, which has been attempting to win back orders from Apple for around two years. Both Samsung and TSMC supplied Apple with A9 chips for the iPhone 6s, iPhone 6s Plus, and iPhone SE, but Apple has relied upon TSMC as its sole supplier for newer devices. The Korea Herald last July reported that Samsung had secured a deal to supply some of the A12 chips for new iPhones in 2018, but two days later, DigiTimes reported that TSMC was still likely to obtain all of the next-generation A-series chip orders for Apple's upcoming 2018 series of iPhones. TSMC's in-house InFO wafer-level packaging is said to make its 7nm FinFET technology more competitive than Samsung's. Our own Chris Jenkins provided an in-depth technical look at this package process last September. After recent revelations, Apple really need to start to re-think their strategy with regard to iPhones and their processors. The A12 will be screaming fast but now is a good a time as ever to start underclocking them. iPhones don't need to be so fast, they're already more than adequate for any task you can throw at it for the next few years. What they sorely need right now is to be reliable, with a long battery life, a long shelf life and not suffer artificial slowdown or power cut outs at 30% after a year. Underclocking can help with this. Or they can use a higher quality and larger battery that won't lose its ability to push out a consistent voltage after 1 year. Sire battery tech is to blame, but it can be mitigated with better batteries. Look at the iPad.. no problems. They need to attack this problem from all sides if they want to regain lost trust. If the report is accurate, it would be a loss for Samsung, which has been attempting to win back orders from Apple for around two years. Worse, a loss for Austin,Texas and the USA, since Samsung used a factory they built there, to supply Apple processors for years. Thanks, Apple, for sending jobs overseas... again. Now that this is settled, bring on the X+ parts leaks! If only it were that simple. Yes, for surfing the web, reading email, etc., current chips are overkill, but that processing power is needed for certain limited tasks, such as computational photography, AR/VR, etc, and no, smart phones are not powerful enough to deal with future needs by any means. AR/VR and other technologies will require ever more powerful silicon. Fortunately, Apple has some of the best chips designers and engineers in the world, and Apple, and other manufacturers, instead use a multi-core approach, to handle the problem of dealing with processor intensive tasks and battery life. That's why you have the A10 Fusion multi-core chip which wowed the tech world. "The high-efficiency cores are optimized for low power, and consume just a fifth of the power of the faster cores. The iPhone 7 will switch to those cores, and power down the more powerful options, when you’re performing a task like checking your email. That all translates into longer battery life: 12 to 13 hours for browsing over LTE, or about two hours more than the iPhone 6s." Good. Remove Samsung early and often. Dumb remark - Samsung is a good supplier in a number of areas including the screens, where unfortunately LG supplied panels have had image retention problems on the retina Macs. Apple needs to put the corporate grievances aside and only do what's best for the customers -- use Samsung batteries made by robots instead of cheap Chinese knock offs made by human labor (prone to errors and hence shorter life span) Come on Apple you make so much money you don't need to shave costs by using shoddy Chinese batteries when a better alternative exists. OK feel free to insert exploding battery "jokes" here as much as you want. But they have fixed it. They apologized profusely. They pulled the product off the shelves. They did everything Apple failed to do in the latest battery gate. You may consider it dumb, but Apple clearly doesn't. With Apple's financial backing, they will get LG to the level they need. Seriously, not trying to be a smart aleck here but, why bother if the batteries can’t handle it?? Faster is not always better. Spending $1200 and it lasting more than a year at full designed speed is.